A Robber went to rob a bank. What is the password ? 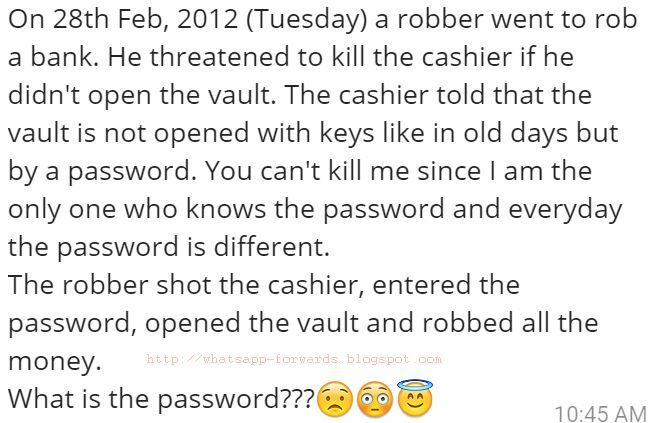 On 28th Feb, 2012 (Tuesday) a robber went to rob a bank. He threatened to kill the cashier if he didn't open the vault. The cashier told that the vault is not opened with keys like in old days but by a password. and everyday the password is different. The Cashier says, The password is "Different"